When it comes to the bathroom, Moen is one of the best-known and most widely respected companies. 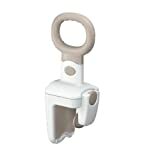 It is not surprising that Moen shower chairs are so highly rated by customers. 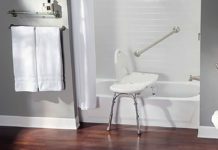 Moen manufactures bathroom products, and the Ohio-based company offers a dozen different models of shower chairs. This shower chair review looks at Moen's top five shower chairs. Moen shower chairs have earned an overall rating of 4.2 out of 5 stars. Moen has quality products and great customer service. When it comes to bathrooms, Moen is a household name in America. Moen’s shower chairs offer safety and peace of mind. Every Moen product meets the exacting standards of the Americans with Disabilities Act. 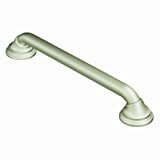 Moen manufactures bathroom faucets and accessories, shower products, kitchen faucets and kitchen sinks. The company has been operating since 1937. All Moen products come with a lifetime limited warranty. Taking a bath or shower can be risky business, especially if you have balance or mobility limitations. 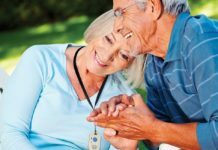 Safety is the main reason the elderly should be using shower chairs. Shower chairs can make bathing safe, comfortable and relaxing. A chair can take away the worry of slipping in the bath. However, there are other benefits. 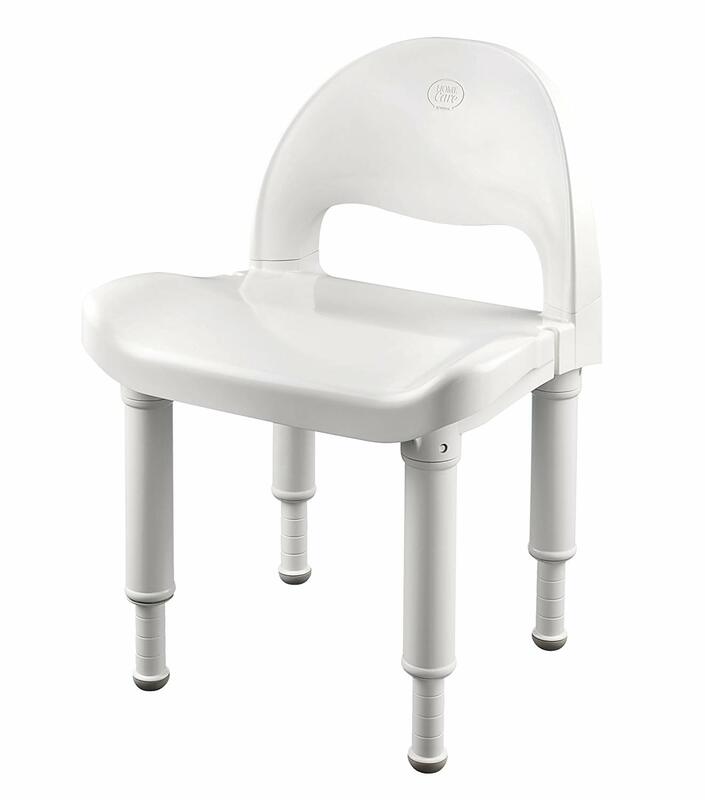 Studies have shown that hygiene improves for individuals with these chairs, and the users have more independence. The shower can be incorporated into treatment plans with more ease. We have reviewed five of the best shower chairs Moen has to offer. All five are quality chairs that could immediately improve the quality of life for seniors struggling with taking a shower. Throw your worries out the window when you choose to invest in a shower chair. 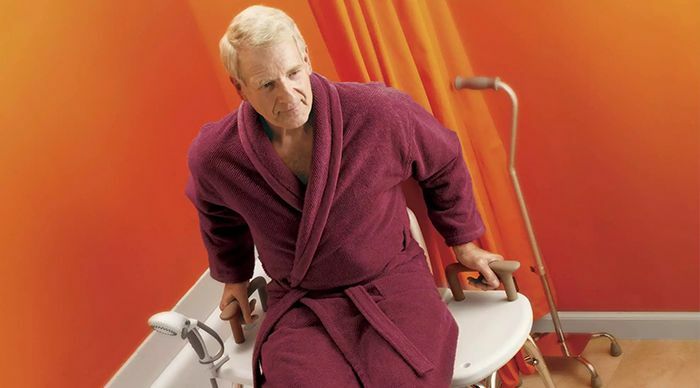 This shower chair is designed for seniors to provide security and comfort while bathing. The public perception of this product is excellent: 4.5 stars. Customers love the handles and find the chair to be durable, functional and versatile. Users report that they feel safe and comfortable using this chair. Most of the questions about this shower chair have to do with dimensions. The chair has an adjustable height from 15 to 21 inches. It measures 21.5 inches front to back. The width at the bottom of the legs measure 18.25 inches. The seat is 18.75 inches wide. The chair is lightweight, weighing 10 pounds. The chair is very sturdy. The seat is mesh, so it is comfortable and does not hold water. Moen offers accessories that fit on the chair. Some seniors found it hard to assemble. This appears to be an issue of strength and dexterity, so simply have your caregiver do the assembly. Substantial — weighs 15.8 lbs. 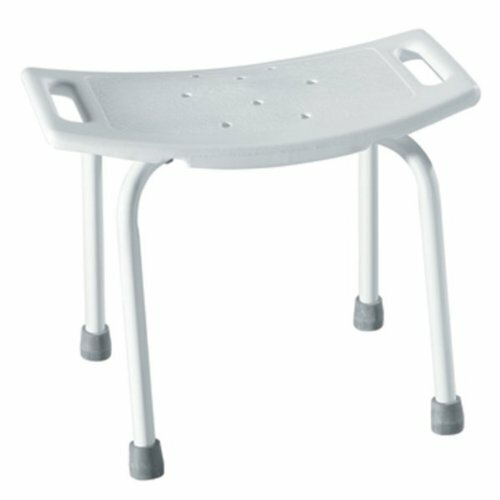 Customers report that the bench works well when properly positioned in the bathtub and has features not found on other benches, such as an optional back, a hand assist, a cup holder and a bracket to hold the shower head. One customer said this seat is an absolute necessity for those with mobility issues. This shower chair is designed to provide safety and comfort while in the shower. The public perception of this product is very good: 4.2 stars. Customers say the chair is very sturdy, stable and safe. Two reviews were critical, saying the seat was slippery and the chair was wobbly. The seat is made with a non-slip surface, so it should not seem slippery. This chair does not have arms, so it is not the right choice for those who need arms for assistance getting into and out of the chair. This chair only supports 300 pounds, so it is not the best choice for very heavy individuals. Only supports up to 300 lbs. This seat helps provide greater security and independence for users. The footprint is 14.5 x 19.5. This weighs only 4.35 pounds. 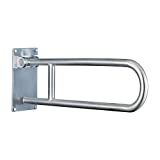 Durable, easy to use, good design, quality materials, safety features. Only supporting up to 250 pounds, this chair is not the best choice for big people. While most customers gave this model rave reviews, several senior customers felt the seat was not safe. 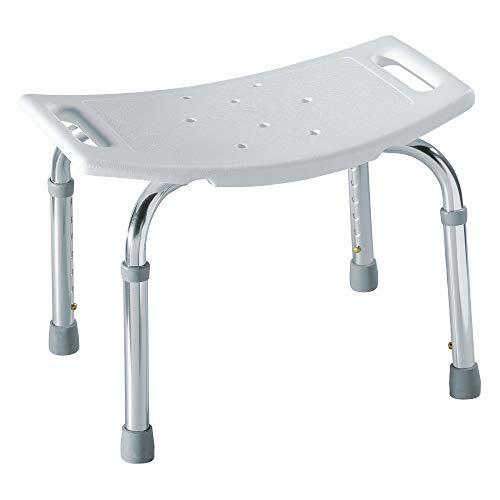 It is very lightweight and doesn’t have arms, so there are better choices for those with balance issues. This shower seat helps provide security while bathing. The footprint is 14.5 inches by 19 inches. 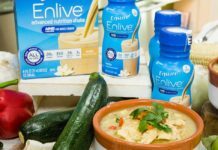 Customer Reviews: The public perception of this product is very good: 4.1 out of 5 stars. Actually, I don't love it, my 91 year old dad does. We raised it to the highest position and he found it was perfect for him. He has a bad back and find it is easy to get up and down from the highest position. It is very stable and does not slide around. The seat is well made and wide so the entire stool feels substantial and solid. It would not likely fit in a smaller tub but does work great in a walk-in shower. He likes it so much he is taking it with him to his new home. Told my brother to return the one he bought. Medokare is a division of Cyber Market Online, a UK company that was launched in 2015. 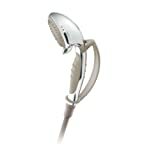 Medokare offers shower chairs that are similar to Moen. Moen was established in 1937 when Al Moen invented the single-handle faucet. Moen is a well-established and highly regarded U.S. company. 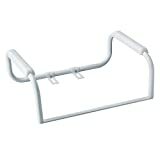 Medokare gets major praise from customers with cheap prices and how easy their shower chairs are to install. Moen, however, gets the edge when it comes to stability and sturdiness in their products. It all comes down to an individual's preference when choosing between the two. 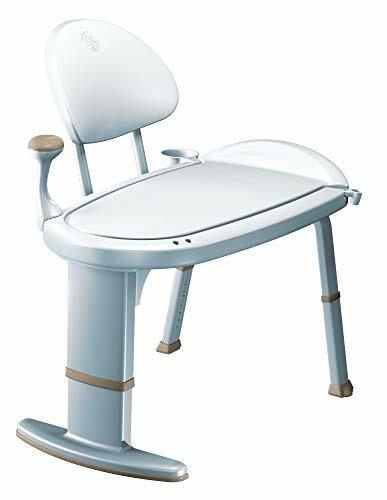 If safety in the tub or shower is a concern for you, you should purchase a shower chair. 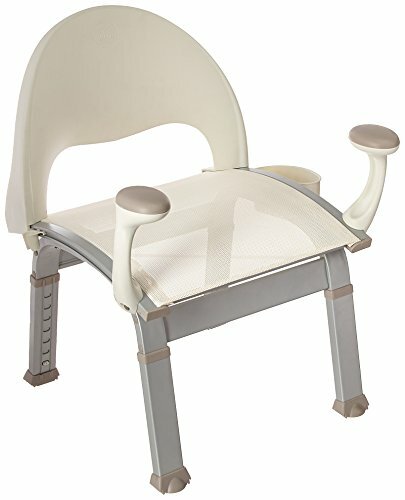 This Moen Shower Chair Review should help you in coming to a decision, whether you're still on the fence about buying a shower chair or comparing with another product. 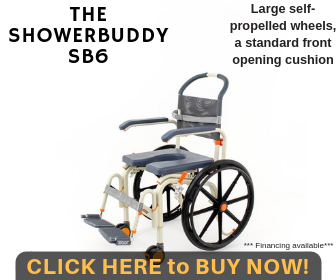 Bottom line is that choosing to get a shower chair is a safe choice no matter what, because your safety shouldn't have a price.Please leave questions in the comment section below about this product review or if you have anything else to add. 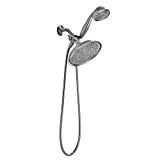 There are cheaper options out there when it comes to shower chairs, but Moen shower chairs are among the top choices quality-wise. Customers love the reliability and sturdiness of the chairs and at the end of the day, that's really what you're buying: safety during shower time.